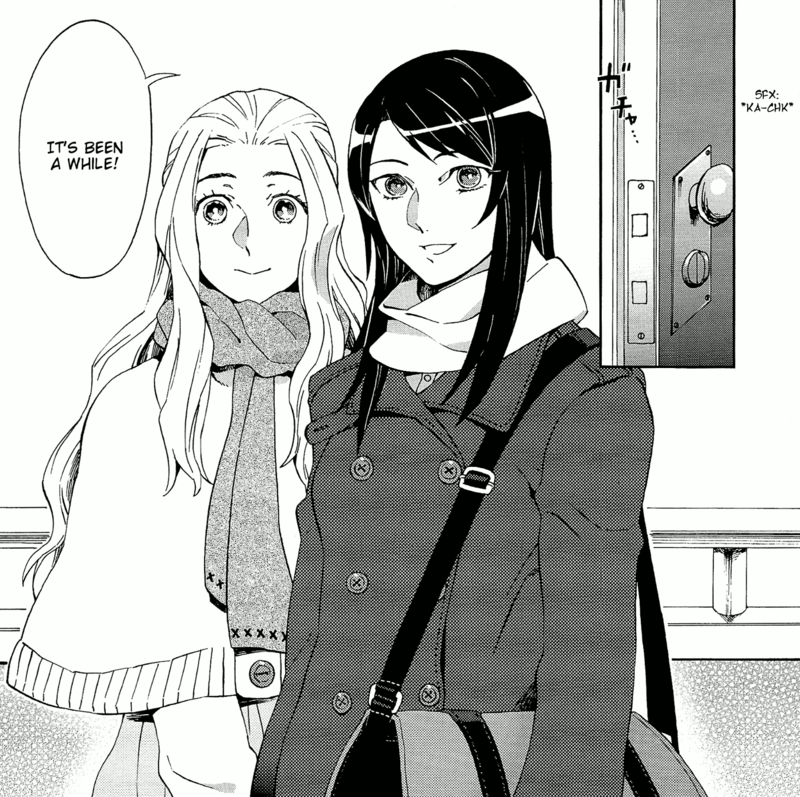 Posted on January 24, 2014 by Lena K.
Let’s take a break from all the yuri manga focusing on high school girls and come to one of the rare ones that focuses on a grown up couple. Kana just had a huge fight with her boyfriend when her sister Mizuho calls and asks her to take her and her partner in for some days. As it turns out, Mizuho’s partner is a girl called Ena, who she’s secretly been in a relationship with for a few years now. Kana is confused at first and seemingly doesn’t really understand how a relationship like that could work out. Furthermore, while trying to get some answers out of her sister, she causes a simple yet grave misunderstanding between the two lovers. As already mentioned above, this is one of the rare yuri manga that focuses on an adult relationship, instead of the get-together of two high school girls, how refreshing, right? Mizuho and Ena have been going out for about two years and they seemingly work for the same company. Especially Mizuho fears that their co-workers might get suspicious of their relationship, so she comes up with some countermeasures to avoid raising any more suspicion. Ena goes along with it, but she’s not very happy about the fact that they need to be so cautious around others. In addition to that she also fears that Mizuho is only going out with her out of pity rather than love, which of course only makes things harder for them at that point. It seems that the two girls don’t really know how to properly get their feelings across, and instead of talking about it, one just runs away while the other just keeps waiting, doing nothing. For me, even though this wasn’t anything special, it was a quite interesting look on a relationship. Well, it is of course sad to see them suffer, even though it is quite obvious what they are both missing. But at the same time you already know that that’s just how things go sometimes. I think I would have been quite mad if this had ended badly, even though it would have been fitting as well. However, this short manga luckily came with a happy end, or at least something close to it. Still, I was probably missing the grand yuri finale that is present in so many other yuri manga, but this one just showed Mizuho and Ena finally having a conversation and making a decision that was long overdue. No kiss, no great love confession, but a few tears at least. As you can see I’m a sucker for really sentimental and romantic endings that just let you melt away because it’s so cute and emotionally engaging. So even though this was probably the right ending for a story like this, I was still missing some more emotions. Also the ending seemed a little rushed. I say this a lot, but in this case, there was actually more planed for the series, but it seemingly had to come to an early end. So maybe there will be more, maybe there won’t. Personally I’d like to see more, because I for one really enjoyed this manga. And finally, what did we learn in Dandelion Among Lilies? Talk about your feelings and problems because your partner can’t read your mind and it might lead to some pretty sever misunderstandings. I think most of us already knew this, but it’s a nice reminder anyway. This entry was posted in Manga, Manga Review, Yuri and tagged Dandelion Among Lilies, Serika Yamaguchi by Lena K.. Bookmark the permalink. Haha that's right and it really felt a little different than most other recent yuri manga, which is a good thing. Anyway, to me it wasn't anything I haven't seen in adult lesbian relationship stories. What else can writers do other than tell us how hard it is being in a homosexual relationship? Other than that, the moral was a good one and it did its job of giving manga readers something fresh. I'm also waiting for something completely different from anything we've had so far, but then again, I'm not sure whether there is anything that really was never done before and that would still turn out good. Honestly, if you want something fresh, don't read romance stories. Those have barely changed since the dawn of time. A yuri story isn't automatically good because it's not about school girls and vice versa, that's a dangerous mindset. Tropes aren't inherently bad and romance is about the most formulaic genre there is. If you want adult lesbians, just read novels, you'll have plenty of 30+ women there – and barely anything else. It's kind of like the school girl thing in reverse. I'm quite picky with adult lesbian stories. I like reading manga like these, but novels are probably not my thing. Also, I could just watch shows like The L Word, but I really just don't like stuff like that. If your taking about the Norm in Yuri, you could find plenty of Unique stuff. Just have to look hard enough. But it's often that unique=weird. Not in all cases of course, but if you want to read something really different, it's often pretty weird, which doesn't always have to be a bad thing. 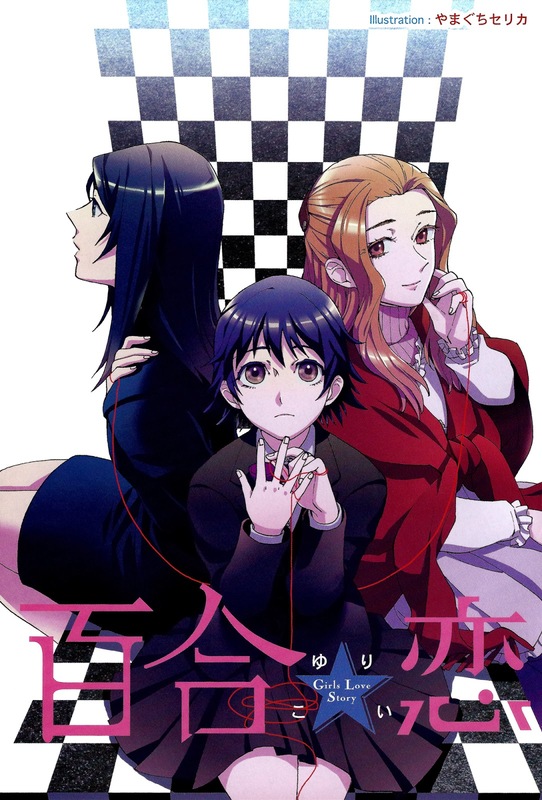 I actually enjoyed this manga since it's more…realistic and mature than dealing with school girls all the time. Do you happen to any more mangas that are similar? Many people say that “Octave” is really realistic and mature, but I'm not sure whether that's true. You should try it out though, it's worth trying.